Programmatic advertising isn’t the shot in the dark it once was—thanks to sophisticated targeting opportunities, it’s now a staple tactic for many advertisers. But the space continues to evolve. 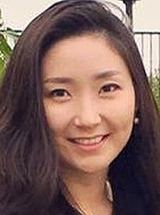 Eunice Kim, media planner at Toyota North America, spoke with eMarketer’s Sean Creamer about how changes in programmatic advertising are creating new opportunities for brands. eMarketer: What changes in the programmatic space have impacted Toyota the most? Eunice Kim: We’re seeing a couple of changes to programmatic advertising that are impacting us. The first is the continuously evolving landscape of data targeting. There are more measurement points, targeting capabilities and data signals available to advertisers now than ever before, which is great for the industry.